3AC Engineering provides protection and control services to the electric power industry. Our expertise is protection systems for transmission, distribution, and generation. 3AC is owned and operated by licensed professional engineers with extensive industry experience. Brent is a professional engineer with 23 years of experience in the electric power industry. During his 8 years at Washington State’s largest utility and 11 years at engineering firms R.W. Beck, RAI, and 3AC Engineering Brent has engineered a wide variety of protection and control projects at substations, switchyards, and power plants. In addition to traditional design engineering, Brent’s experience includes work in utility operations and engineering management. Brent teaches protective relaying at Washington State University, and has been an invited lecturer at the annual Hands-On Relay School every year since 2010. 2011-2017 Engineering Manager – Relay Application Innovation, Inc.
1997-1998 Quality Engineer – Advanced Energy Industries, Inc.
1996-1997 Production Manager – Brayden Automation Corp.
Outside of work, Brent enjoys travel and camping with his family, and cheering on WSU athletics (Go Cougs!). His current life goal is to get his children’s LEGO bricks confined to a single room of the house. 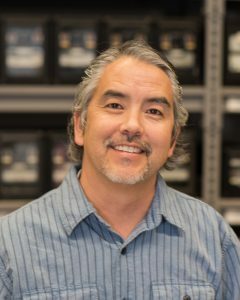 Martin is a professional engineer with 27 years of experience in the electric power industry including positions at Sierra Pacific Power (now NV Energy) and Schweitzer Engineering Laboratories (SEL). Martin specializes in protection and control and has worked on transmission, distribution, renewable generation, substation, and switchyard projects. In addition to protection and control, Martin’s experience also includes field application support, medium voltage switchgear manufacturing, and substation design. 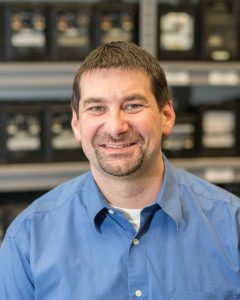 2005-2017 Lead Protection Engineer – Relay Application Innovation, Inc.
Martin lives in Boerne, Texas, with his wife and two children. He enjoys traveling and water-related activities with his family.